ZF’s benchmark TraXon automatic modular truck transmission made its Australian debut at the Brisbane Truck Show in 2017. Two years on, TraXon transmissions are original equipment fitment on many new trucks appearing on Australian roads, including some of those to be displayed at this year’s Brisbane Truck Show. Visitors to the ZF Services Australia stand can learn more about recent enhancements to TraXon that will serve to reinforce its reputation as one of the world’s most technically advanced truck transmissions. Light, strong and intelligent, the TraXon transmission is a modular design – the first in the world – that mates a basic high-tech automatic transmission with various setting-off and shift modules. ZF’s TraXon offers fuel savings through its use of operational efficiencies and refined driving experience, throughout its GPS-based connectivity. With TraXon and a vast number of innovations in transmission hardware and control software, leading automotive supplier ZF has set new standards and enabled an enormous functional diversity in the commercial vehicle transmission. Arguably one of the most technically advanced truck transmissions in the world, TraXon has been further enhanced by the addition in 2018 of an optional predictive maintenance function that continually monitors vehicle operation. This new technology offers fleet operators the capability of monitoring the condition of components such as transmission oil or clutch discs, via the Cloud. Maintenance can thus be planned proactively, which in turn could shorten vehicle downtimes and avoid stranded vehicles. This has the potential to also reduce costs and extend the transmission’s service life at the same time. 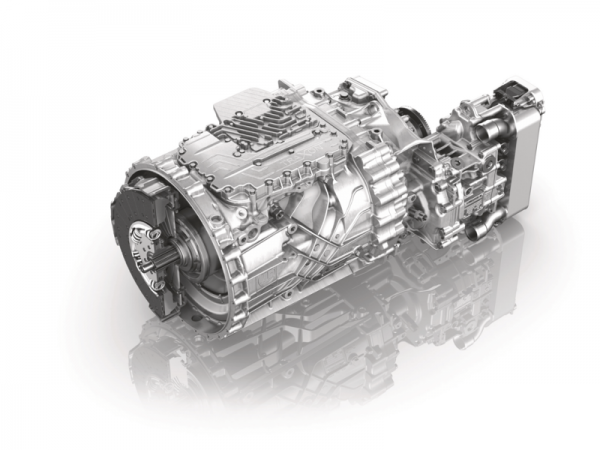 With the new predictive maintenance function, ZF is preparing its successful modular transmission TraXon for a digital future in the commercial vehicle industry. Vehicle manufacturers and fleet operators can use the Cloud solution to proactively plan vehicle maintenance. To accomplish this, ZF uses transmission modules that are already pre-installed in the vehicle and transfer information about the transmission’s condition to the vehicle OEM’s Cloud. The OEM data platform is also connected to the ZF Cloud, which gives ZF the ability to take the primary data it has received and compile reports on the condition of the transmission components. These can then be read by the OEM or fleet operator and used to proactively plan maintenance. This constant ability to evaluate data enables relevant components to be replaced or repaired in a managed timescale, which helps avoid expensive breakdowns. The transmission’s service life can thus also be extended, and standstills and downtime can be reduced. In addition, it enables fleet operators to do without complex contingency plans to maintain the supply chain in the event of a breakdown. As a result, the total cost of ownership can be significantly reduced. 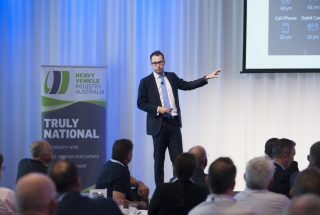 The ZF Services Australia team will be providing expert advice on not only the TraXon transmission, but also the range of aftermarket products from ZF’s brands including SACHS, LEMFÖRDER and TRW. 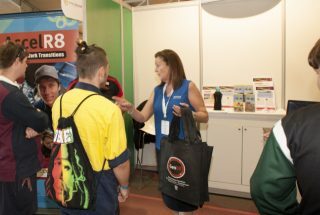 Make sure you stop by the ZF stand (#074) in the Foyer at the Brisbane Truck Show to see and learn more about the revolutionary TraXon transmission.